The Creative and Digital Economy Institute (CDEI) at London South Bank University was established to incubate and generate new thinking. The CDEI is primarily concerned with innovations in practice, research and production to disrupt the digital economy. The CDEI encourages digital technologists, programmers, developers and digital creatives to work alongside us. Working with you, we want to create a centre of excellence for new ideas, products and services that will influence the digital economy. The Creative and Digital Economy Institute encourages participation and partnership with digital industries. This includes exploring co-funding of innovations via the university’s accesses to UK and EU government funding calls. To develop initiatives in digital practice, research and digital products and advanced digital services. To encourage partnership working with local and national practitioners for mutual benefit. To assist the creation of cross-platform ideas with partners. To coordinate groundbreaking insights using a multidisciplinary approach. To work with businesses and developers to create new gamification, immersive technology and screen products and services. To explore co-funding of innovation via the University's links with UK and EU funders. 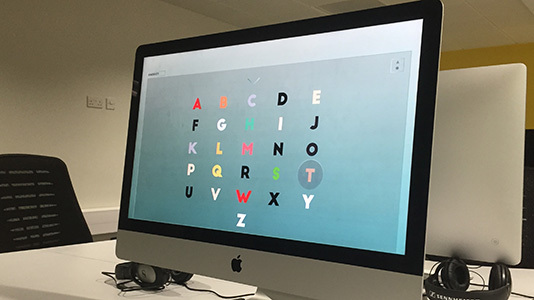 The University’s many digital facilities are available for hire to enable us to achieve our aims. These include digital audio, film and broadcast labs, in addition to our VR gaming and digital manufacturing labs. 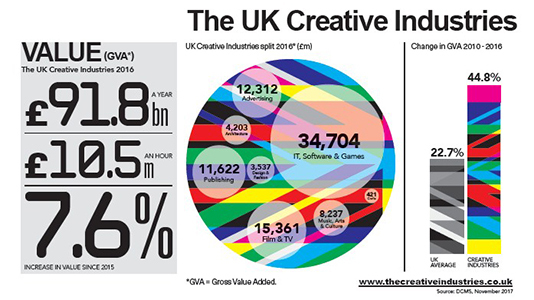 The creative industries grew at twice the rate of the wider economy in 2016-2017, Government statistics have stated. Now worth £91.8 billion in terms of gross value added to the UK, the sector grew by 7.6% over the year, while the economy as a whole grew by 3.5% in the same period. For more information or enquiries, please contact Peter Hadfield. Whether you are interested in finding out how we can accelerate your product development and ideas, seeing our facilities or identifying our research teams or tutors with relevant expertise, we are here to help - get in touch now.